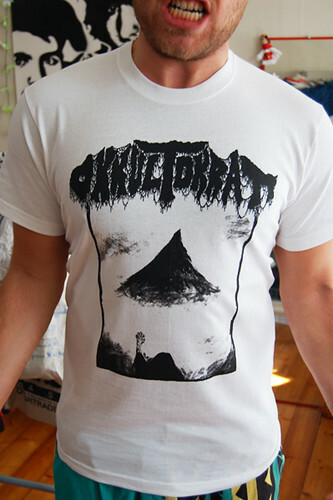 New Okkultokrati shirts, Haust tapes, and a special Nekromantik Norway edition of Knarkskog limited to 15 copies. These, and more records/shirts/tapes available at the Haust, Årabrot, Okkultokrati shows this weekend. Dates to your right.